The best Okanagan summers' come with fruit-filled dreams. Fruit is nature's way of protecting us from the abundance of sun. Fruit's loaded with anti-oxidants which naturally protect our skin from the suns' rays. Here's my top 7 favourite Okanagan summer foods, with fruit taking home the gold. Fresh peaches are definitely at the top of my list because of their stunningly delectable juices! (It's one of the reasons we love Experience's (summer-only) peach raspberry kombucha!) Peaches contain an impressive assortment of vitamins and minerals to make it a truly nutritious food. They aren't always the tidiest snack with all their juiciness glory, so chopping them up before you take them on the go makes that easier. Enjoy them on their own as a snack, make a healthy cobbler or slice + add them to a cherry tomato and basil summer salad. Raspberries are high on the list (again, Experience's (summer-only) peach raspberry kombucha!) and also because raspberries are such a well-rounded treat that you can easily pack anywhere, and don't make a mess. Raspberries are rock stars for their Vitamin C content - this powerful natural antioxidant (natural skin-sun protector in our hot summer) that zaps free radicals. In fact, the oxygen radical absorbance capacity (ORAC) value is one of the highest of all fruits. Enjoy them on their own as a snack, or add them to a greens and mango salad. We know that eating raw food is important [Stoking the Flames of your Digestive Fire] and while it’s generally thought that heating food diminishes its nutrients one study actually showed that cooking corn at 115 degrees Fahrenheit for 25 minutes actually increased its antioxidant activity and total phenolics (antioxidants that prevent oxidative damage to DNA, lipids, and proteins.) With corn it’s important to learn if your favorite supermarket offerings of sweet corn are organic or grown from genetically engineered (GE) seeds. If possible, find out if farmers selling sweet corn at roadside stands or the farmers' market are growing organically or are using herbicides, pesticides, or other chemicals. Organic is preferred. Enjoy corn grilled + fresh off the cob or add to your favourite salad. Ahh, the Okanagan classic. 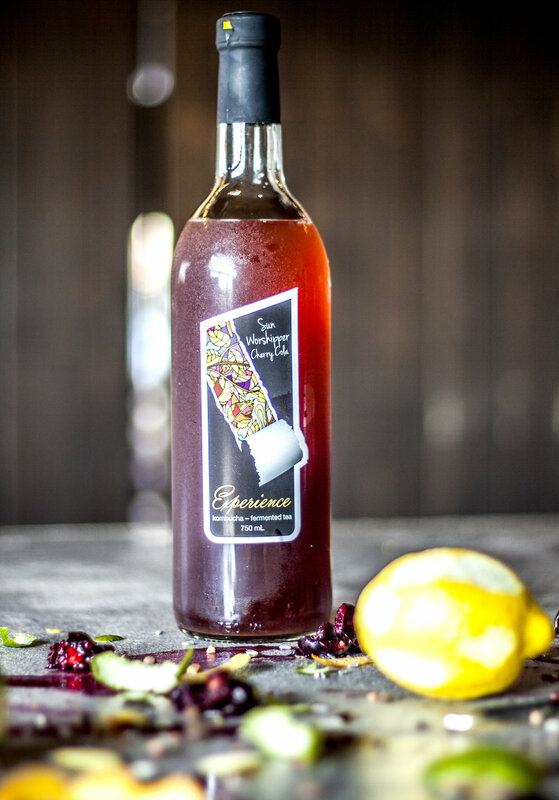 Not only do cherries go lovely in [Beauty Berry 'Booch] an exclusive kombucha blend created just for The Green Vanity in Kelowna, cherries are so perfect for those few weeks each summer when we can easily over-do it. Although, that's not a terrible idea, as cherries are one of the highest antioxidant-containing fruits and offer therapeutic benefits to you with their many health-promoting compounds. They help reduce inflammation and contain fiber, vitamin C and carotenoids. Eat a small bowl each day, put frozen cherries in your water, freeze them for smoothies year-round or ferment them into soda. Ahh, another Okanagan classic. Apricots were well-known in Greece in 60 BC, and when they were transported to Europe by Greeks, they called them “golden eggs of the sun.” Golden Eggs of the Sun when eaten fresh contain a high amount of vitamin A. This includes several beneficial carotenes, which release powerful antioxidants essential for maintaining your optimal vision, healthy skin and mucous membranes. Apricots also are a good source of vitamin C and other health-promoting phytochemicals including dietary fiber which keeps your system running smoothly. Enjoy your golden eggs of the sun on their own or in a mixed Okanagan fresh fruit salad. This is my kind of recipe. Ahhhhh beach days. Nothing says beach treats like a little wheel o' brie & a baguette for me. When I lived in Kitsilano studying Holistic Nutrition, I lived with 9 other women (true story!) many of whom were from Europe and the UK. That's when I received my 'bread and cheese and wine' initiation in life as we trudged to the ocean many a days with brie and wine in backpacks. I was shown the path, the way and the light. I could never look back now. Brie and other classy cheeses are one of the worlds' most finest luxuries. As for nutrition, fancy cheeses does not top the list as something you should eat daily, but I also deeply believe we need to learn to love and enjoy our food. Consuming brie boosts your intake of several vitamins including B-vitamins, vitamin A, which is important to immune functioning as well as healthy skin and hair. Brie also contains vitamin D, a nutrient important to the health of your bones. Brie is versatile for fancy cooking, but I enjoy mine as simply as possible. Slice, spread on crackers or sourdough bread - eat. Alright, you got me, the last 2 of my list are real treats. Although BBQ'ing is a special summer (or year round for some folks!) pastime, it's ideal to focus more on fresh foods in the summer when they are in high amounts everywhere! But putting all this fresh availability aside, who could forget the GREAT Bacon Scare of 2015? This is when we were told that eating processed meat was (for sure, definitely, scientifically proven) going to raise our risk of cancer. The processing of meat often involves nitrites that may form cancer-causing compounds that become dangerous once they react with our stomach acid. Grilling and frying create the highest amounts of toxic end products. This doesn't mean you can NEVER barbecue or fry foods again. It just means eat less of them. 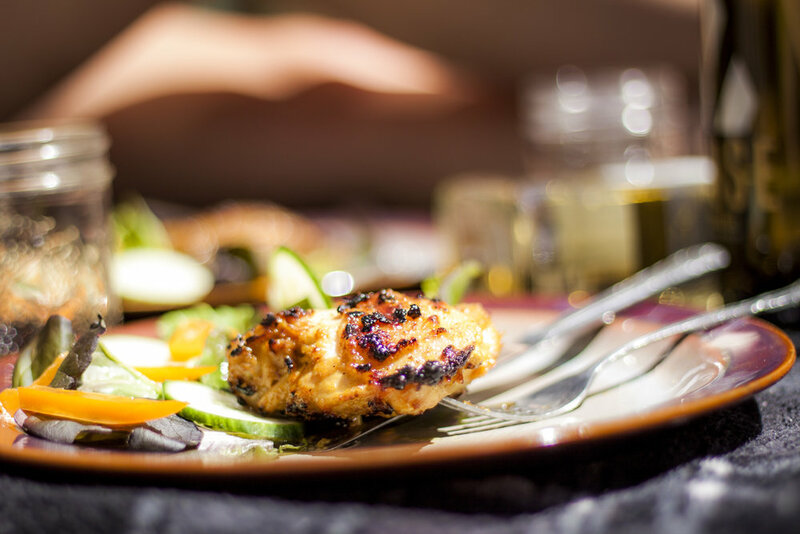 I simplify the issue down that it all comes to quality in this post, and guess what, even after re-reading the post I made about meat - I ate grilled chicken. The best Okanagan summers' come with fruit-filled dreams, and there's lots of ways to get more fruits & vegetables in your diet in our hot summers. Try one day a week for a "fresh" only day, where salads or fresh fruit make up your days' meals and snacks. This is an amazing way to have a summer 'cleanse' and your energy will be through the roof! Hope you enjoyed my top 7 favourite Okanagan summer foods, happy feet-up-beach-time season!